Instead of using a Powerpoint presentation today – I thought I would try posting these images here on our blog to use as the basis for our discussion on the readings today. 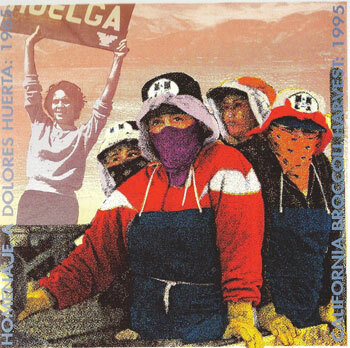 In “Borderlands Critical Subjectivity in Recent Chicana Art,” Huacuja writes, “In their efforts to resist the cultural problem of racism and patriarchy, contemporary Chicana artists have developed their own specific strategies for an engaged art practice” (2007, p. 108). She looks at a few pieces of art to demonstrate her point. 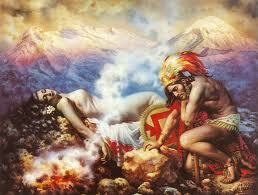 What conclusions are we asked to make from these different pieces of art that Huacuja draws on to make her arguments? How are Chicana artists navigating the borderlands? Also, how does Favianna Rodriguez fit into our discussion on the “borderlands” with this profile that is done on her as an artist/entrepreneur? This entry was posted in In Class Materials. Bookmark the permalink.